Peter Ballerstedt lead off talking about the miracle that is the ruminant which is able to turn grass into high quality protein and fat while at the same time preventing the soil erosion that industrial plant farming causes and which is totally unsustainable. Every year on average an inch of topsoil is lost and it takes nature an average of 6 years to replace that soil. Raising ruminants on the other hand gradually increases soil levels. He noted that an amount of soil equal to an area the size of Kentucky 6 inches deep is lost due to industrial farming. He pointed out that ruminants create over 430 Billion Dollars in wealth around the world every year. Addressing the complaints about feedlot beef he pointed out that even in cows finished in the feedlot only 10% or less of the food they get in their life is grain. Antibiotics are no longer used solely to promote growth but only to treat infectious problems. Contrary to what many people believe cows produce more protein from a given amount of grain than chickens do. He pointed out using beans an example why the amount of protein in plant foods is often overestimated. The typical way they calculate protein is to find the total amount of nitrogen in the food and do a mathematical conversion that gives grams of protein. However many plants like bean have high level of nitrogen in other compounds like lectins, nitrites and nitrates. So in the case of beans by the formula they are 22% protein but in actual fact when you do a more accurate examination there are only 13.1% amino acids in beans (all proteins are just strings of amino acids). He points out that only 1/3 of the earths landmass is suitable for agriculture and much of the remaining 2/3’s is quite suitable for raising ruminants. And most important I consider Peter a friend. He responds to my emails when I have questions on any matter concerning cattle raising or environmental issues and he is a member of of my Facebook group Zero Carb Doc. Another friend of mine, Ivor Cummins spoke next (the handsome guy on the right is my middle son). Ivor’s thankless job is trying to get people out of denial about the possibility they may be at high risk for heart attack and do a simple test that will tell them called a Coronary Artery Calcium Scan (CAC). It’s a simple painless test that can be done for around $100. Ivor has analyzed all the data out there as only an engineer can and If you are at risk his verdict is that to prevent progression and even reverse the condition a low carb, high fat ketogenic diet is clearly the way to go. 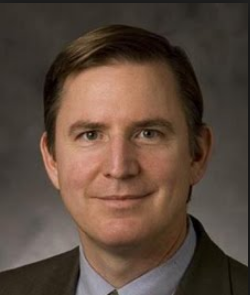 To address people who point out how the LDL cholesterol tends to rise on such diets he pointed out that when you consider the data on people who have already had a heart attack and look at the risk factor they will have a second one, LDL Cholesterol levels do not reach statistical significance even when significantly high. Having high blood pressure doubles the risk but having a high insulin level which people on high carb diets do raises the risk by 6.7 times. He also recommended considering more sun exposure, fasting and strength training. The next speaker, a man I highly respect just wrote a book with Ivor Cummins called “Eat Rich, Live Long: Mastering the Low-Carb & Keto Spectrum for Weight Loss and Longevity”. He pointed out that no matter what diet a person uses to lose weight the weight tends to creep back up eventually. He made a point about how the energy pathway that glucose passes through in the mitochondria produces more energy more quickly than the path through which fatty acids are processed but produces more heat and thus stress on the mitochondria also more free radicals than burning fat. He used the tortoise and hare analogy with glucose burners being hare’s and fat burners being tortoises and sagely reminded us that “longevity is an endurance sport”. 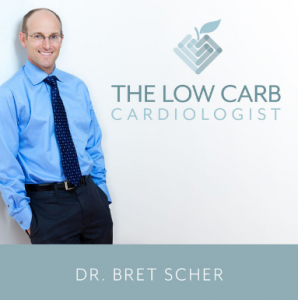 Cardiologist, Dr. Bret Scher spoke after Dr. Gerber on how a low carb diet affects the lipid panel. He acknowledged that LDL and Total Cholesterol often go up but stated that LDL was a very poor marker of cardiovascular risk. He pointed out that most people admitted to hospitals with a heart attack had LDL Cholesterols in the normal range many in the mid 2 digit range. He pointed out that lowering LDL was not the only way to lower cardiovascular risk as both stopping smoking and increasing exercise will lower cardiovascular risk without affecting LDL Cholesterol. He pointed out the poor performance of statin LDL lowering medications as in the best case for people who have not had a heart attack 60 people must be treated for 5 years to prevent 1 heart attack and there will be no benefit to anyone in this group in terms of extending life expectancy. For people with known heart disease there is a slightly better benefit and also a slight benefit in terms of lifespan. He reminded everyone that the triglyceride/HDL ratio and the Hemoglobin A1c were much stronger predictors of cardiovascular disease and almost always were improved on a low carb diet. The amazing and incredibly knowledgeable Dave Feldman, a software engineer by training who discovered the magic of a ketogenic diet by trying it himself decided to approach perfecting it as one would an engineering project. For the last 32 months he has taken a pictures of everything he eats with his fist in the picture for reference, done over 100 blood tests and innumerable body scans and anthropomorphic measurements. His blog is “The Cholesterol Code Reverse Engineering the Mystery”. He is an incredibly articulate and prolific blogger. He talked a lot about LDL Cholesterol as a cardiac risk factor but the thing that blew me away the most was this study that he found that showed that for people with a good Triglyceride to HDL ration there was no difference in cardiac risk whether the LDL was below or above 170 mg/dl (4.4 mmol/l). I recommend his site to anyone who wants to see how a ketogenic diet affects metabolisms as reflected in numerous, blood tests, body scans and body weight among many other parameters he measures and freely shares with along along with his insightful interpretations. 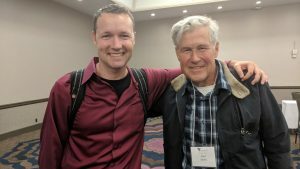 Dave was followed by Dr. Eric Westman, a role model for me and the author along with Dr. Stephen Phinney of the book I first learned to do low carb from “The New Atkins for a New You”. 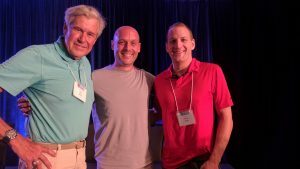 He described his history with low carb having worked with both Dr. Robert Atkins in his clinic and Dr. Richard Bernstein in his and how his clinic runs with just him and a CNA in a 2 exam room office. Here are some of the points he made that stood out for me. On what to tell your doctor when you go low carb he suggested “Tell him you’re doing a Modified Mediterranean Diet”. He pointed out that 1/3-1/2 of people who undergo bariatric surgery regain all or most of the weight they lose. He encourages his patient to use “total carbs” rather than “net carbs” and tells them that net carbs is the over-the-counter strength and total carbs is the doctor strength approach. He told the medical providers who are doing low carb “Find what’s motivating people to want to lose weight and reinforce it. Be part teacher, part cheerleader and part armchair shrink. It was good to see him again. 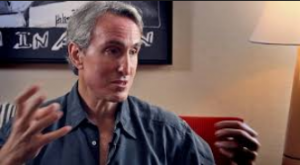 Gary Taubes, the Upton Sinclair of Low Carb spoke about the new book he is writing on how low carb doctors are treating patients with low carb. He interviewed over 100 doctors for the project. 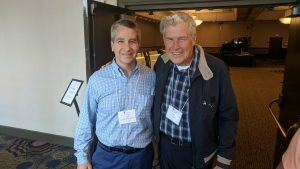 He spoke a little about the current status of the low carb movement noting how encouraging it was that there was a network of 3300 physicians in Canada practicing low carb. He shared some interesting snapshots of things he had learned interviewing doctors. He asked one doctor what she told patients when they said they could never give up bread or pastries. She said that she told them “imagine that you were so allergic to almonds that you could only eat them if you had an Epipen by your side to inject yourself with adrenaline or you might die, could you stop eating almonds? So just think of bread and pastries as your almonds”. He shared a quote from the book “Strong Medicine” by Blake Donaldson MD a book in which he recommends an almost exclusively meat diet. Here is what he had to say about his colleagues treating adult diabetes with insulin: “Your insane if you eat a Danish and then lower your glucose with insulin”. Gary earlier had said “Carnivory is likely to be the most successful strategy”. After his lecture he was joined by Phd Candidate Adele Hite who has been working with him and Doug Reynolds the founder and CEO of Low Carb USA to establish a low carb standard of care (SOC) that providers who practice low carb can point to. Low Carb USA is hosting several documents relating to this online that will invite suggestions from low carb provider all over the country and the SOC be edited by a select panel of experienced low carb doctors. Here is the link. Thanks for the “embedded” links, Paul. It really adds to your great reviews. I like that you try to capture the passion of the speaker which doesn’t always come through with printed word… but yours does . Thank you Dr. Mabry for taking the time to compose and send the summaries from the conference. They are very informative and I appreciate your efforts. 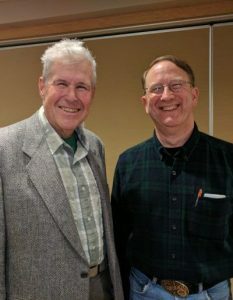 I have a question about Peter Ballerstedt’s talk. Does he think that eating meat from feedlot cows is just as healthy as 100% grass-fed cows? Mary, I’ve had this conversation with Peter and many other people at the conference and Dr. Ede mentioned the subject in her talk today as Did Dr. Westman in his lecture yesterday. Basically, Peter, Georgia, Eric and I and many other of the presenters agree that yes there may be a small theoretical but unproven benefit to be had from grassfed beef but as Peter pointed out even grain finished beef at most received 10% or less of their total feed as grain, the rest was grass or hay and in all our opinions the benefit of grassfed beef if it is real is minor and we think it could put a real obstacle in the path of people of lesser means should we suggest that it was essential for health that could make them give up on low carb eating which would be a disaster. Both Peter and I usually buy and consume grain finished commercial beef. Thank you Dr. Mabry for your response. It is very helpful to know that commercial meat is okay and will give me more options. This information is fantastic and the most up to date reliable data, theories, and science from the top minds. I feel like I’m getting some information before it even hits the press. There are always bits of information that are very helpful even after reading numerous, books, papers, blogs. Many of us can’t attend these conferences so I feel like you’re our representative in many ways. I really appreciate you sharing this. Congratulations on the positive move. Unfortunately we moved to New Mexico a couple years ago. I know Freeport well, it’s a nice city.